You might have noticed I’ve been talking about food waste and sustainable eating quite a lot recently. Well, it’s partly because I have an event dedicated to sustainability coming up tomorrow (which I’m very excited about! ), but also because this is an important part of my ethos for Food At Heart. One thing I really care about is helping people, myself included, eat in a way that’s more connected and aware. This connectedness includes thinking about the impact our food choices have more broadly. I think I’ve always had slightly hippy-ish food tendencies (I love hanging out in organic health food shops full of hemp and lentils) and I’ve been very happy to embrace them even more as I get older. I’m not going to lie, sustainability can be a complex and thorny issue. However, sometimes you need to step aside from the overwhelm and think about things you can do at a personal level. A good starting point is to think big, but act small. Our daily actions really do add up. My mum knew what she was doing when we were growing up, telling us to turn the lights off when we left a room. It’s also why small changes like turning off the tap when you brush your teeth make a difference to water waste. And I’ve been using a reusable shopping bag instead of disposable plastic ones for years. Movements and change have to start somewhere, and if we all opt out then nothing will change apart from our planet getting more overloaded with refuse. There are lots of different aspects to think about when it comes to more sustainable eating: local, seasonal, organic, leftovers, packaging… As I’ve mentioned in previous posts, I always suggest picking one or two areas that really resonate with you and starting there. Explore more sustainable flavours at The Joy Of Sustainable Eating event in London on 9th May. I get the distinct impression that in our hyper-connected world, we’re really looking more and more for genuine connection. This means more time in nature, more time away from our screen (I know this is slightly ironic as I tap away at my laptop keys) and more time to get in sync with our seasons. 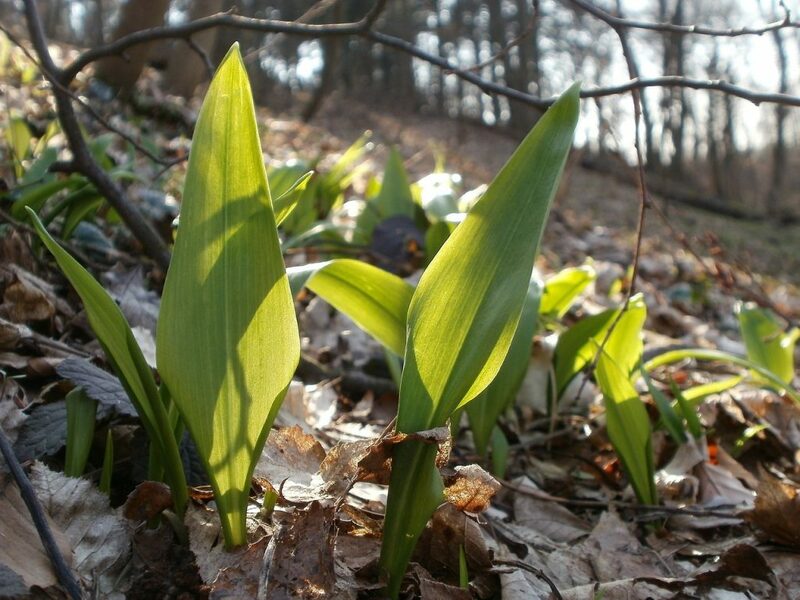 Choosing food that flourishes naturally at whatever time of the year you’re in is a good place to start. And while I generally agree that less screen time is probably good for most of us, you can make all this information work for you in a positive way and research what’s best to eat right now. Even your social media poison of choice (mine is Instagram!) will give you lots of information if you follow anyone in food. I always get excited when I start seeing a flood of blood orange or asparagus recipes flow into my Instagram feed. Sometimes it does mean sacrificing eating strawberries in December or asparagus in September, but I personally think the taste benefits of eating seasonal food outweigh this little change. You’ve probably seen this tip before – and for good reason. 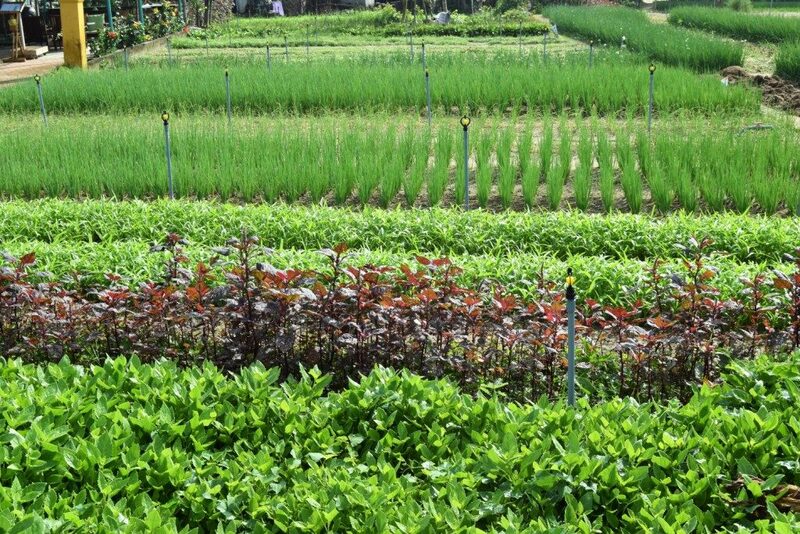 One of the very best ways to physically and emotionally connect food is to grow it yourself. You see it in practice time and time again in primary schools with edible gardens; children who wouldn’t normally dream of eating vegetables quite happily chomp into a carrot that they’ve just brushed the dirt off. Adults are really no different. That’s because it’s good for your soul to grow (you see, I said I had some hippy-ish tendencies). Plus, food tastes better when it’s freshly picked and not coated with all sorts of sprays, having travelled a huge distance to get to your supermarket with its ‘perfect’ shape and plastic bag wrap. One of the best tips I heard around this from Mark Diacono during a talk at Divertimenti was to grow things you know you’ll enjoy eating. That way you’re much more likely to keep them alive! I’m by my own admittance not the most committed gardener, so I focus on a few things that I know grow well and easily. This includes a few herbs in pots that I eat a lot of (mint and rosemary). Quite a few can be kept inside so you don’t forget to water them. In the summer I grow tomatoes, strawberries and the odd salad leaf. All in pots. I’ve given up on anything under the soil at this stage as my little garden grows only miniature versions in our stony ground. I fortunately also have delicious rhubarb, which has to be one of the hardiest plants I’ve come across. I do very little and it rewards me with many tasty stalks. Touch your plants and smell them so you get to know them; if you’re brave, you can even talk to them. They’ll reward you with a delicious bounty which shop-bought just can’t compete with! 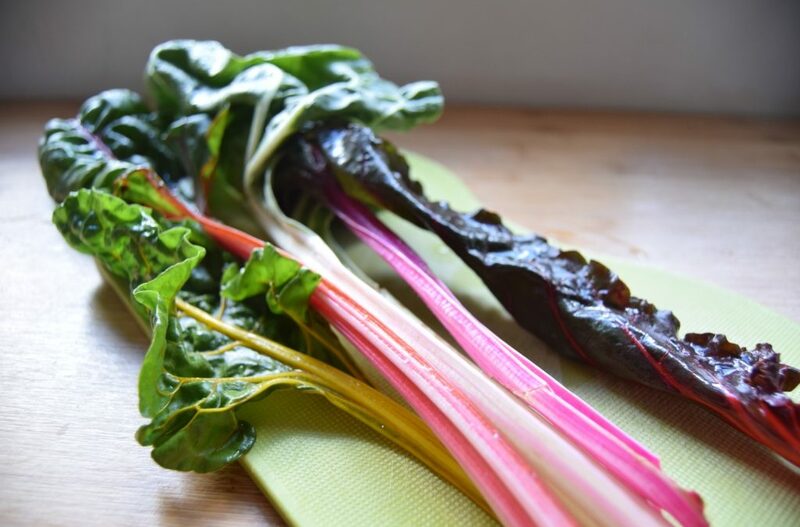 I’ve also included a seasonal recipe for rhubarb below if you’re looking for a slightly different (and very tasty) way to cook it up. I watched ‘We’re Going On A Bear Hunt’ quite a few times over Christmas (my excuse is that I have young godchildren, but secretly I was mainly watching it for me). I love the way the children explore the exciting lands of swishy swashy grass and splashy sploshy streams right on their doorstep. We can forget what fascinating foods we have close by until we take a little time to look. – just popping along to a local food market with ingredients grown near(ish) by. There’s actually a mulberry tree near me which I have my eye on; this year I’m going to get some rich pickings. But you don’t need to live outside cities to do this type of thing – ask around and do a little research and you might be surprised at what you have access to. You might even have a mulberry tree in your own neighbourhood. And if you get a bit muddy or covered in berry juice, even better! Growing your own is a great way to naturally go organic, but fortunately these days it’s pretty easy to choose chemical-free food. There are a few good reasons to choose organic, but one is that many of our whole foods have less nutrients than many years ago. According to one study in the US, many fruits and vegetables have shown ‘reliable declines’ in nutrients. Even if you are eating healthily you may need to eat more of the same ingredients to get the same nutrient benefits compared to many years ago. This is the after-effect of intensive farming systems. I eat organic as much as I can because I want our soil to keep producing beautiful food for many years to come. I get most of my organic food through my weekly veggie box delivery so the work of choosing is done for me (plus it’s fun to get creative with whatever turns up in the box). If you’re concerned about the price of moving to organic, buying fruit and vegetables in-season is a good place to start. You might even notice the difference in taste. There are also lots of other ingredients, like oats and flours, that really don’t cost much more when you go organic. And I always suggest eating organic (or pesticide-free) chocolate when you can. The cacao that chocolate starts out as is a very manual crop. This means pesticides can get all over the skin of the people producing and gathering what goes into your favourite bar (not to mention the chemical-filled water that runs off the plantation). Green & Black’s is a good place to start, but explore other good brands who deliberately source sustainable beans (they may not always say they are organic on the label as the certification can be expensive). I mentioned food waste in my last recipe for bag ends bread; thinking about what happens after food hits your home is an important part of more sustainable eating. Storing food properly means it’s less likely to get wasted and the freezer is your friend if you think you won’t eat things up quickly enough. It’s also kind of helpful not to buy too much in the first place. Those buy one get one free offers are not so great if the other get-one-free ends up in the bin. Lots of food can be composted, but even before you tip things in your heap, there are some parts of foods that often end up in the compost or bin which are perfectly good to eat. Leafy carrot tops (in pesto), beetroot leaves (in salad) and the green bits of leeks (in stir-fried) are all good to eat. Get creative and give things a go. It’s not just about food that gets wasted; there’s also packaging to consider. Where you can, it’s great to buy food in packaging that can be recycled. Obviously the ideal is to buy food without any packaging at all (you can even take your own little bags for loose fruit and veggies), but that’s not always possible – especially for anything liquid! Recycling also includes ways you can re-use packaging at home, like keeping jars for storage or even using leftover tubs to grow herbs in. If you need a bit more seasonal inspiration – especially if you too have a glut of garden rhubarb – check out the delicious rhubarb salsa recipe below from Lorna Hall of Eat Myyy Thoughts. Lorna is one of the speakers at tomorrow’s The Joy Of Sustainable Eating event. She is a big champion of tackling food waste and eating delicious seasonal meat-free dishes. 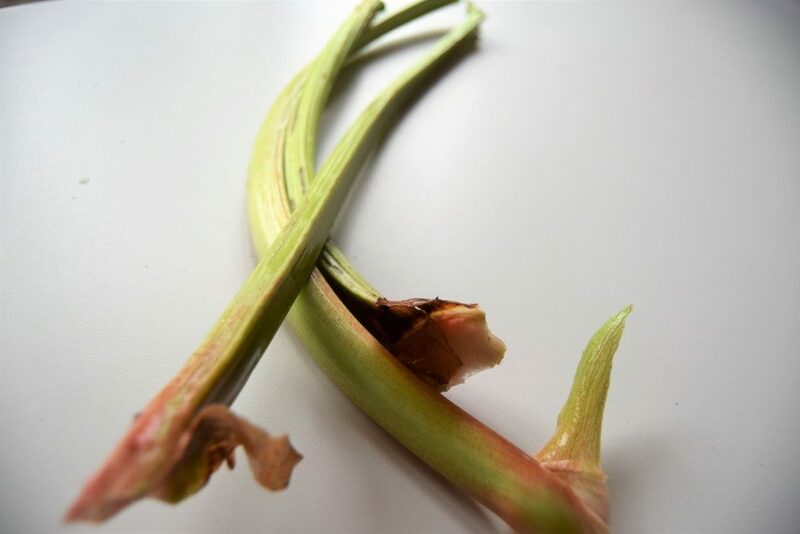 Trim the rhubarb stalks at each end. Chop the rhubarb into pieces, around 2 inches long, and place these in a bowl. Add the lemon juice and the maple syrup. Ideally, leave this to marinade overnight in the fridge, but if you’re short of time, just leave it for about 20-30 minutes. Bake the marinated rhubarb for approximately 20-25 minutes, until softened but still maintaining its shape. Set aside to cool. Once cooled, blitz the rhubarb, plus the tomatoes, green pepper, onion, strawberries, chilli, ginger, lemon juice and maple syrup in a food processor until a chunky salsa is formed. Lorna uses the salsa in her Avocado & Aubergine Wraps, but you could also use it as a dip for crunchy veggie crudites, smothered on toast topped with creamy goat’s cheese or served alongside crispy-skinned mackerel. What are your top creative tips for eating more sustainably?